Includes coverage of Gorgo, Horror of Dracula and Tarantula. 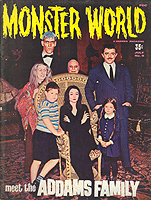 Includes coverage of William Castle and Hammer Studios. Includes coverage of Mark of the Vampire and The Thing. 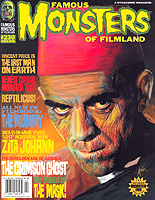 Replaces Famous Monsters of Filmland #70. 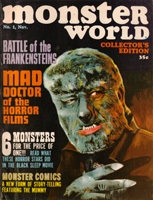 Includes coverage of Frankenstein, The Mummy and Wallace Wood. Replaces Famous Monsters of Filmland #74. 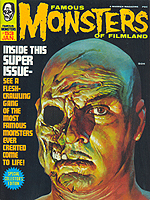 Includes coverage of Bride of the Monster, Die, Monster, Die! and Hammer Films. 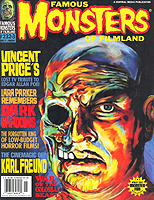 Replaces Famous Monsters of Filmland #78. 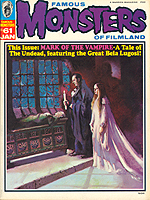 Includes coverage of The Addams Family, Ray Harryhausen and Horror of Dracula. 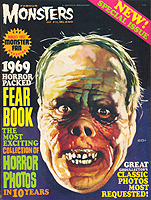 Includes coverage of The Crimson Ghost, The Last Man on Earth and Reptilicus. 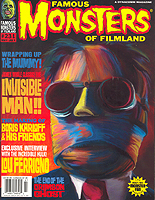 Includes coverage of Lou Ferrigno, The Invisible Man and The Mummy. 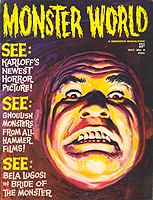 Includes coverage of Dark Shadows, Karl Freund and War of the Colossal Beast. Includes coverage of The Amazing Colossal Man and Invasion of the Saucer Men.